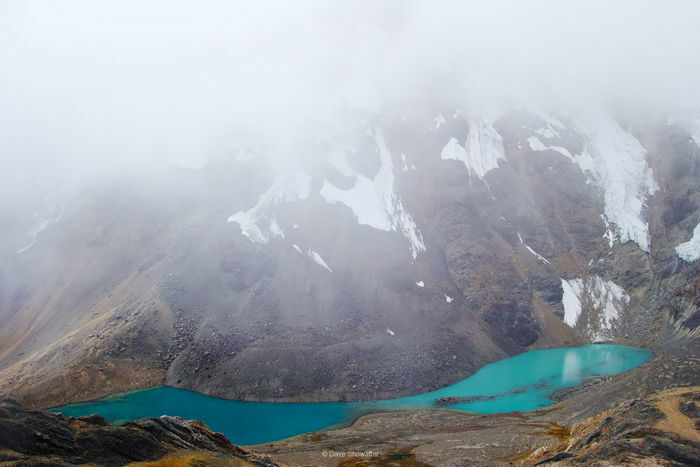 Laguna Huacrish's glacial blue waters contrast sharply with clouds draping West Huacrish Mountain (5622m). We were descending from Diablo Mudo into the Huacrish Valley, where clouds cleared and we viewed soaring Andean Condors up close. What a thrill!